Plan your next holiday in <?xml:namespace prefix = st1 />America’s Island Paradise, the Florida Keys. Once a haven for the fabled pirates of the Caribbean and "rum-runners", the Keys are the United States southern most location. 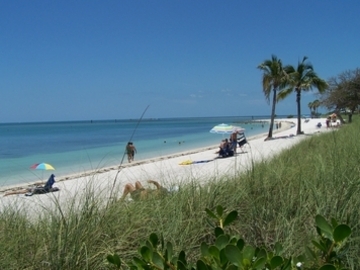 The Keys enjoy a distinct and unique cultural and geographical heritage and are Florida’s most singular destination. As a tropical playground, the Keys offer the visitor a combination of modern amenities mingled with a historical past. 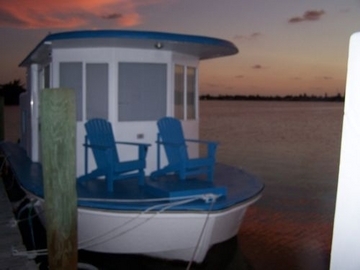 The Sea Cove Resort and Marina offers exclusive lodging in the only FLOATING ROOMS in the Florida Keys. For those who prefer accommodations on land, we also have bungalow rooms and efficiencies. We have a long fishing pier, a boat ramp and boat dockage. The Sea Cove Resort & <?xml:namespace prefix = st1 />Marina in Marathon, deep in the Keys, enjoys easy access to beaches, recreation, sport fishing, ocean kayaking, air excursions in classic open cockpit bi-planes, bicycling, snorkeling, para-sailing and some of Florida’s best and most characteristic cuisine. 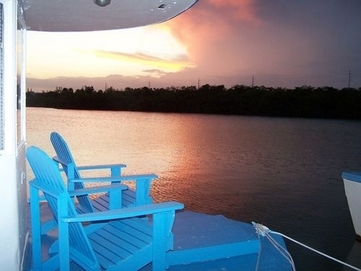 Whether it’s for a day, a week or a month, the Floating Sea Cove Resort & Marina is the ideal location for a memorable Florida Keys experience. Call or write to us for more information or just browse the following pages for a glimpse of life at the Sea Cove Resort & Marina.